Last night was the night, Bachelor Nation! Ben finally chose his forever love. As romantic as the idea is, we knew going into the finale that this was going to have to break someone’s heart. Starting out in Jamaica, Ben’s mother summed up the situation of her son being in love with two women in one slightly hilarious but accurate word: “disturbing.” Can we discuss the irony that the “unlovable” Bachelor now has the exact opposite problem? Be careful what you wish for, Ben. Meanwhile, Lauren felt confident going in to meet the parents, convinced that Ben was the one for her. She and the Bachelor’s mother discussed his adorable flaw -non-flaw?- of being too hard on himself, and the starry-eyed contestant promised that she was the one to help him through the hard times. While it’s safe to say that Lauren made a great impression, the parental conclusion was that this protective mother just doesn’t know what to think. Of course, Bachelor parents are notorious for giving away absolutely no useful insight by the final episode, when it actually matters. We were missing Ben’s signature brooding, and he didn’t disappoint while waiting for his date with Lauren on the stormy Jamaican seas. The biggest problem with Lauren that the Bachelor identified is the relationship being too perfect from the very beginning. It was obvious to his date something was wrong, and by the end of the night she worried that her boyfriend’s heart was torn two ways. The final date with Jojo showed a lighter side of Ben as the pair swam at a waterfall. However, by the end the up-front contestant got Ben to confess that he was in love with Lauren, too. It was nice to see a more honest conversation against Lauren’s sunny optimism. Although Ben called her his best friend, Jojo was still crushed by his confession. We finally got the bathroom heart-to-heart promised in the preview, where she described the exhaustion of always “competing” for his love. As the door shut between them, both were in tears. At the final rose ceremony, Jojo was understandably tense on the ride over (speaking of that, is there a reason the women need to be flown in on a helicopter as opposed to just bunking on the same island?) Chris Harrison walked Jojo down the lawn to meet up with Ben. Way to show support, Chris. Before Ben could talk, Jojo laid it all on the line. With wedding-like vows, she promised to always trust him and never run from their love. Uh oh. This could only end badly. Ben delivered with, “I found [love] with somebody else more.” Jojo described herself as completely “blindsided,” and Ben couldn’t even clear things up by saying what was wrong with their relationship. Sobbing in the limo, she wished that she could find someone who “wasn’t going anywhere” after saying they loved her. Future bachelorette material, right? To hand it to Ben though, his own eyes weren’t exactly dry while he contemplated proposing to Lauren after this heart wrenching breakup. But by the time Ben called Lauren’s father and received his blessing, there was no hiding a huge grin. Meanwhile, Lauren obviously felt nervous during her journey to see Ben. But when they were finally face to face, she didn’t hold back. “You’re my person,” she said. 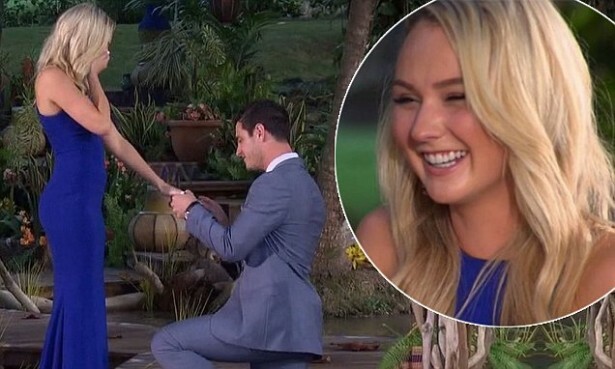 In return, the Bachelor vowed that she was the one he wanted to wake up with every morning, and knelt on one knee to ask her to marry him. Spoiler alert: she said yes. By the time the couple was repeating, “you’re my person” back and forth, we could see these two lasting like those 100-year-old sea turtles. #turtlegoals. It’s been an amazing season, Bachelor Nation! I still can’t believe it’s over. 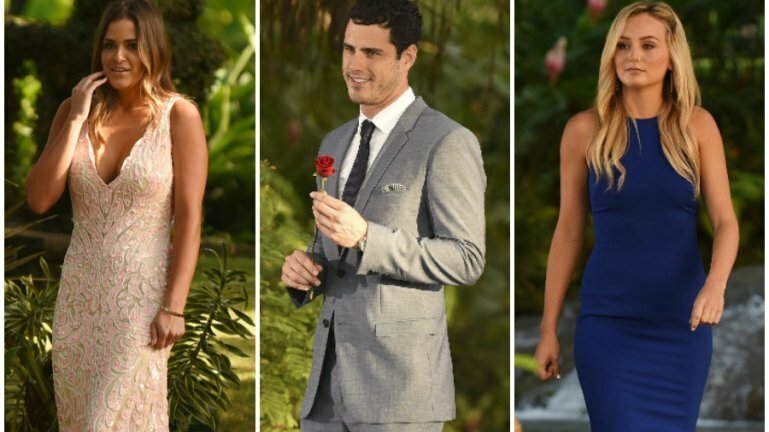 Ben and Lauren seem happy together, but what about Jojo? Luckily, we’ll be seeing her again on the Bachelorette, so we can set aside all the tissue and ice cream tubs for a little while longer. We can’t wait to catch up with the couple later and see their life together moving forward! Stay tuned for the next season and a whole new bouquet of roses to come!